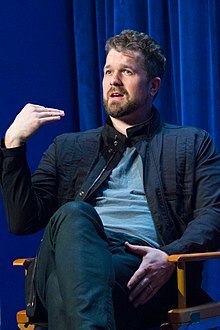 Seth Gordon (born July 15, 1976) is an American film director, producer, screenwriter, and film editor. He has produced and directed for film and television, including for PBS, the Bill & Melinda Gates Foundation, and the United Nations Staff 1% for Development Fund. His films have screened at the Sundance Film Festival and Slamdance Film Festival. Gordon grew up in Evanston, Illinois. He attended Yale University where he studied architecture until leaving in 1997 to teach high school for six months in the small village of Shimanyiro, Kenya. While there he helped secure United Nations financing to finish construction of a school, and began filming what would eventually become the documentary Building Shimanyiro. Upon returning to Yale, Gordon taught himself how to edit his footage on an Avid editing machine. Later, he helped shoot Barbara Kopple and Cecilia Peck's Dixie Chicks documentary Shut Up & Sing, and after working as cinematographer, editor and producer on various films, he gained prominence with his documentary The King of Kong: A Fistful of Quarters. Gordon directed the game company Zynga's "GagaVille" online film in 2010. He co-created and is an executive producer of the Fox television series Breaking In. He directed the 2011 comedy Horrible Bosses, but in August 2013 declined to direct the sequel, citing commitments to the television series The Goldbergs, on which he is an executive producer, and a planned remake of the film WarGames. Gordon directed the pilot of Sneaky Pete for Amazon Studios, which he also produces with Bryan Cranston and David Shore. A season of episodes has been ordered by Amazon Studios and is in production. Gordon directed the 2017 film version of Baywatch, starring Dwayne Johnson, Priyanka Chopra and Zac Efron. He graduated from Lakeside School (Seattle) in 1994 and the Harvard Graduate School of Design. In 2009, Gordon developed and directed a video series focusing on the threat posed by cybercrime to Internet users, H*Commerce: The Business of Hacking You, sponsored by antivirus software company McAfee. Gordon has directed various music videos and commercials, and an episode each of Modern Family and Community, two episodes of The Office, and several episodes of Parks and Recreation. He was a director and executive producer on NBC's Marry Me. Gordon is a director and executive producer on ABC's The Goldbergs. He also serves as a director and executive producer on the Netflix series Atypical. 2005 New York Doll Producer nominated for a Grand Jury Prize in documentary at Sundance Film Festival in 2005. 2007 The King of Kong: A Fistful of Quarters Director Accepted to Slamdance and bought for distribution by Picturehouse. New Line Cinema bought the film's remake rights and plans to turn it in to a fiction film with Gordon directing. 2009-2010 The Office Director Season 6 episodes 9 and 17: "Double Date" and "The Delivery" part 1. Parks and Recreation Director Season 1 episode 2: "Canvassing"
Season 2 episode 2: "The Stakeout"
2010 Modern Family Director Season 1 episode 21: "Travels with Scout"
^ a b c Roston, Tom (November 30, 2008). "In 'Four Christmases,' Seth Gordon explores a season's gratings". Los Angeles Times. Retrieved June 10, 2009. ^ Fernandez, Jay A. (November 26, 2008). "Director traveled unlikely road to "Christmases"". Reuters. Retrieved June 10, 2009. ^ Seidman, Robert (November 19, 2010). "Fox Mid-Season Schedule – 'American Idol' to Wednesdays/Thursdays; 'Fringe' to Fridays". TV by the Numbers. Retrieved November 30, 2010. ^ McNary, Dave (August 7, 2013). "'Horrible Bosses 2' Loses Director Seth Gordon". Variety. Retrieved 2013-11-30. ^ Collins, Jim. "Seth Gordon '94: Revealing a one-off perspective" (Fall 2016). Lakeside Magazine. Retrieved 9 January 2018. ^ Swartz, Jon (May 20, 2009). "Miniseries reveals truth about hackers". USA Today. Archived from the original on May 24, 2009. Retrieved June 11, 2009. ^ Cieply, Michael. "Seth Gordon Filmography". New York Times. Retrieved June 11, 2009. ^ Andreeva, Nellie (2016-10-17). "Netflix Greenlights 'Atypical' Series From 'The Goldbergs' Duo; Jennifer Jason Leigh, Keir Gilchrist & Michael Rapaport To Star". Deadline. Retrieved 2016-10-17. ^ Snider, Mike (August 13, 2007). "'King of Kong' follows players in pursuit of the high score". USA Today. Retrieved June 12, 2009. Wikimedia Commons has media related to Seth Gordon. This page was last edited on 11 October 2018, at 00:46 (UTC).